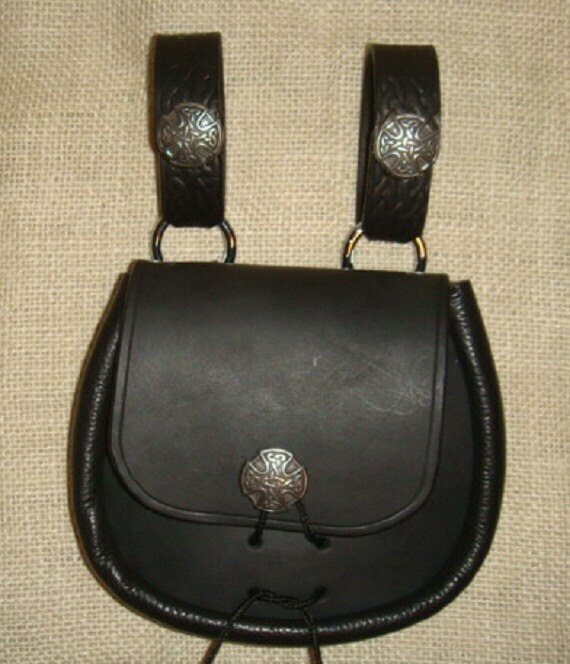 This sporran is made of 6-7oz vegetable tanned leather with a soft chap leather gusset all hand stitched together. 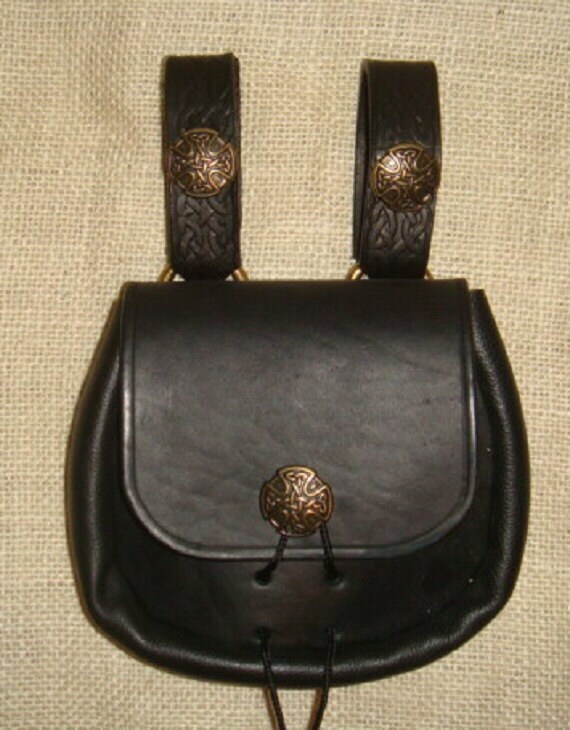 The leather is hand dyed black and you may have your choice of antique silver or antique gold celtic knotwork hardware. The pouch will fit a 3 inch belt with no problem. A drawstring cord holds the pouch closed.